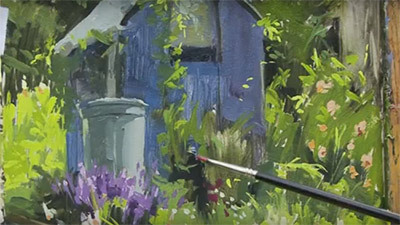 John Hammond paints wonderfully vibrant paintings using acrylic paints and in this film he shows us his technique. Painting on the Devon coast, he covers a wide variety of subject matter including the marshland and waters of the river Otter, the Exe estuary, and the surrounding landscape. 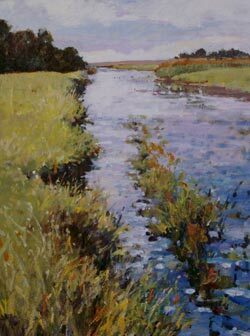 He also works in his studio, producing a large painting of wild geese in the marshes, using sketches from his painting trip as source material. 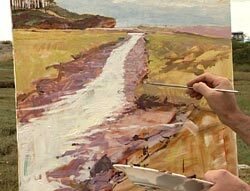 John Hammond takes us to some attractive areas around the Devon coast in his film, Capturing Light in Acrylics. Complementing a book of the same title, it inspires confidence as we watch John deftly blocking in colour to create, almost immediately, an impressive sense of depth. We start in his studio where he explains his choice of materials, but soon move outside to his first location at Budleigh Salterton, near Sidmouth, on the River Otter. 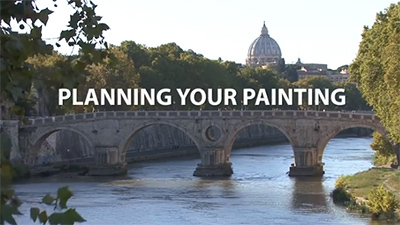 A good pace is maintained, with John providing an informative commentary, giving a constant insight into the thought processes at work during the development of a painting. The second view is the mouth of the river - a flatter area of salt marshes, and then to a cornfield, with a distant view of the sea. His focus changes in the next painting where he tackles a group of Scotts Pine trees, set against a clear bright sky. He captures their dramatic presence as a study rather than a finished painting, with a view to using it as a resource in the development of a composition back in the studio. His penultimate choice of subject appears an almost empty view - an expanse of water and mudflats at Topsham, on the River Exe, looking towards Exmouth. Working early in the morning on a pre-tinted board, light is the crucial element. Despite the apparent barren quality of the view, he is able to manipulate the composition to lead the eye into the space and create a painting that appears far more dynamic than the view itself. 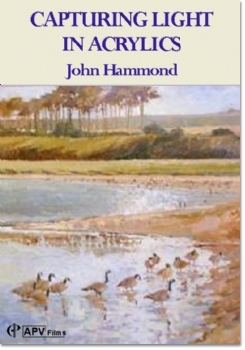 John's final work arises out of sketches taken back on the River Otter, where he records a mass of geese in the marshes. In his studio he is able to combine elements from all of the paintings completed on location, aided by his memory, to create a sparkling textural composition that captures all the atmosphere of the noisy geese on the water. 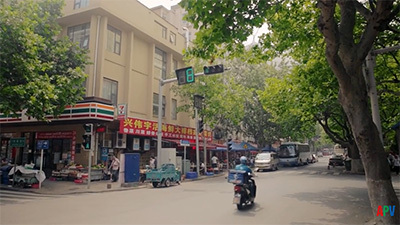 This is a well-produced film that clearly demonstrates the advantages of the acrylic medium. John Hammond's relaxed, engaging manner and obvious talent make learning a pleasure. I find it surprising that acrylic paint isn't more popular with artists. 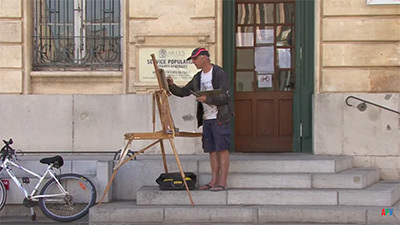 Perhaps one of the reasons for this is that it has a reputation for being fast drying, especially when used for summer plein air work, and consequently there can be technical problems to overcome. 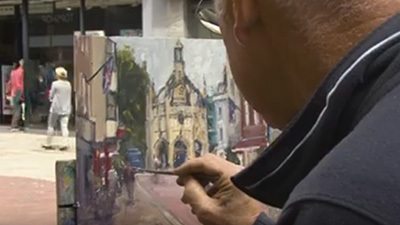 But as John Hammond shows in his excellent, informative and immensely enjoyable film, Capturing Light in Acrylics, this highly versatile medium is ideal for both outdoor work and studio paintings. The film includes useful advice about the basics materials and equipment, paint mixing and so on - plus an impressive selection of demonstrations. 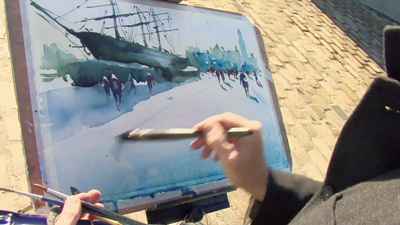 Five of these are painted almost entirely on the spot, at locations in south Devon, and the sixth is a large studio picture developed from location sketches. John works on prepared boards, using colours thinned with gloss glazing medium rather than water. 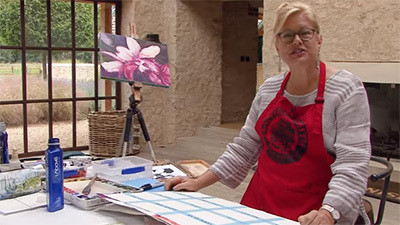 This interesting approach, combined with freely-applied brushstrokes and the use of glazes, seems to overcome any difficulties with the drying time. Indeed, he turns this characteristic of acrylic to his advantage and creates wonderfully vibrant and lively paintings that skilfully capture the effects of colour, light and texture.